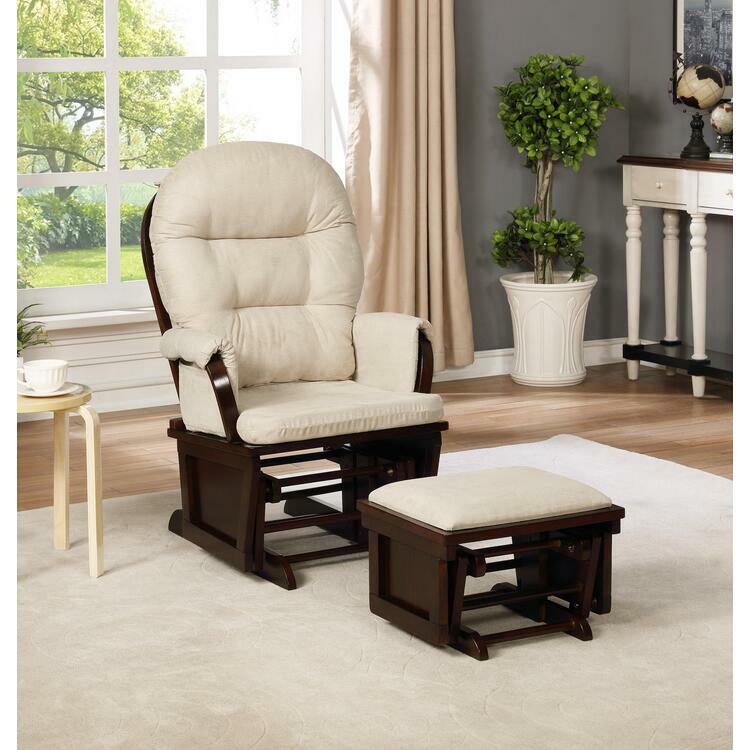 The Naomi Home Amelia Glider and Ottoman set is an extremely comfortable and relaxing glider rocker with matching ottoman. The smooth gliding motion aides nursing mothers when putting the little one to sleep. Unwind after a long day, and kick your feet up on the plush ottoman. The gentile motion simulates a soothing cradle. The Naomi Home Amelia Glider and Ottoman set is the perfect choice for your baby room or nursery. After searching for months we picked this for our daughter''s nursery. Glad this doesn''t malfunction or make noises.